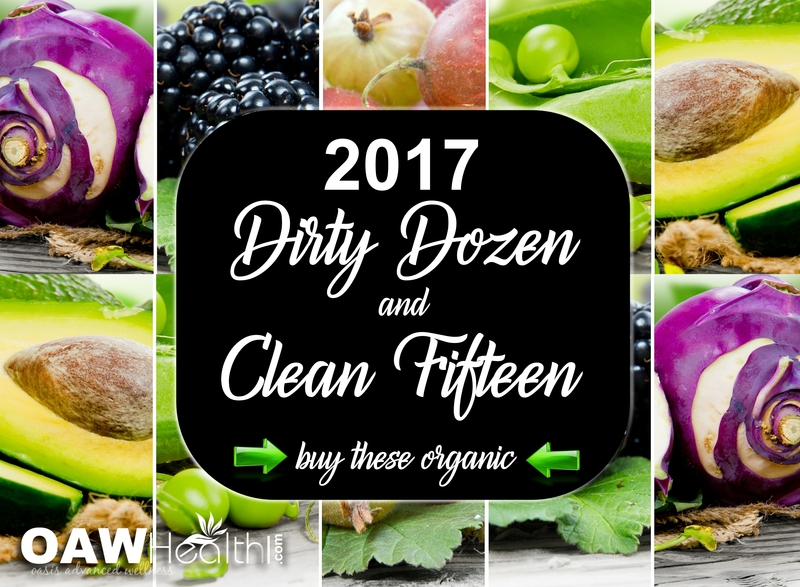 The 2017 Dirty Dozen-Clean Fifteen Veggies-Fruits list from the EWG (Environment Working Group) has been released. 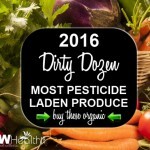 EWG analyzed pesticide residue testing data from the U.S. Department of Agriculture and Food and Drug Administration to come up with rankings for the following popular fresh produce items. All 48 foods are listed below from worst to best – lower numbers indicate more pesticides. 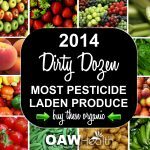 Each year the EWG comes up with its list of the dozen different fruits and veggies that toxic-chemical-aware consumers should know before purchasing. 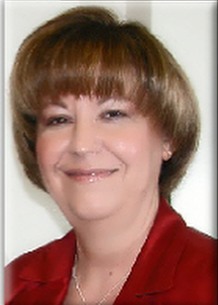 *According to the EWG, Americans eat nearly eight pounds of fresh strawberries a year. Strawberry growers use jaw-dropping volumes of poisonous gases – some developed for chemical warfare but now banned by the Geneva Conventions – to sterilize their fields before planting, killing every pest, weed and other living thing in the soil. If you want to avoid pesticides and don’t want strawberries grown in soil injected with nerve gases, EWG advises that you always buy organically grown berries. We make the same recommendation for other Dirty Dozen™ foods. 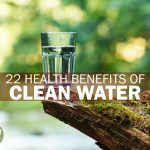 Now for the good news…below are the 2017 clean fifteen vegetables and fruits that do not necessarily need to be purchased organically. However, I still encourage you to shop your local farmers’ markets and support locally grown vegetables and fruits.